o	An SGI Altix XE Cluster with 1304 CPU cores, 3608 GB of distributed memory, 45 terabytes of network-attached storage (NAS), and 167 TB of distributed disk space. Each CPU is a 64 bit Intel Xeon processor. The system consists of a mixture of nodes that give the entire system a floating point performance of 13.68 TOps. Sets of 8 to 12 CPUs are grouped together into shared memory nodes. There are multiple networks connecting the processors. These include: DDR and QDR Infiniband for connecting the nodes to each other and to the NAS file systems as well as gigabit ethernet for internet connectivity and management network. Parts of this cluster were purchased with funds provided by the National Science Foundation (EPS-0903787). 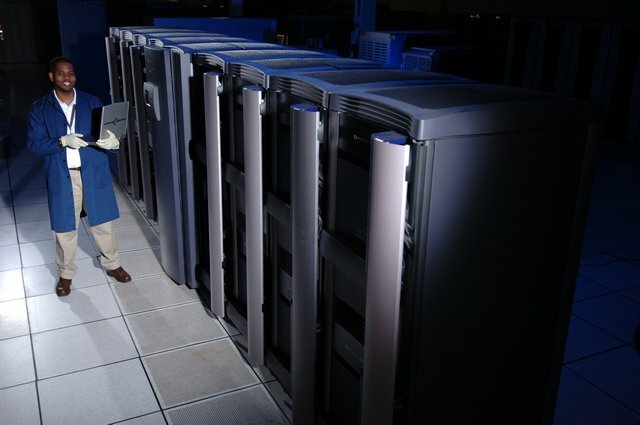 o	An SGI UV 2000 HPC system with 192 CPU cores and 1.5 terabytes of shared memory. This system mounts the same 45TB of network-attached storage that is mounted on the Altix XE cluster. All CPUs in this machine are 8-core 2.6GHz Intel E5-4650L chips, giving a total theoretical peak performance of 3.99TOps. o	A Cray GreenBlade system with 29 compute nodes, each of which contains 2 10-core Ivy Bridge Intel Xeon CPUs, an NVIDIA Kepler K20 GPU, 36GB of DDR3 RAM, and a 1TB internal hard drive for job scratch. Due to the extraordinary (though limited to certain types of calculations) performance of the GPUs, this machine operates at a combined theoretical peak performance of 48.24TOps. This cluster is grant funded by the National Science Foundation (CHE-1338056) and access to it is governed by MCSR and the project PIs. Researchers who have computational jobs that could benefit from this unique hardware are encouraged to contact MCSR Director and project co-PI Brian Hopkins at 662-915-5683 or bwhopkin@olemiss.edu to learn more.